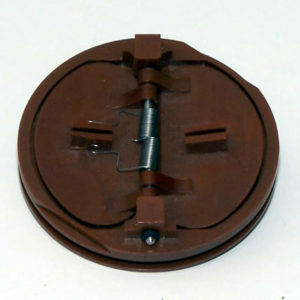 Solenoid, 15065 High Pressure Valve - ValveTech Inc. 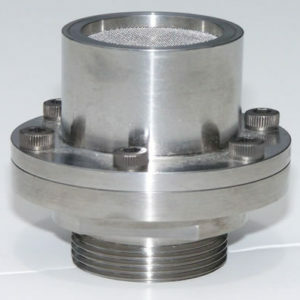 The valve design uses a conical poppet made from high performance thermoplastics. Leakage rates of less than 1 x 10-4 sccs helium at pressures from 5 to 10,000 psig have been routinely demonstrated. Using ValveTech’s patented center guide technology and a proprietary combination of stainless steels, the cycle life capability exceeds 1,000,000 dry cycles while maintaining all performance requirements. 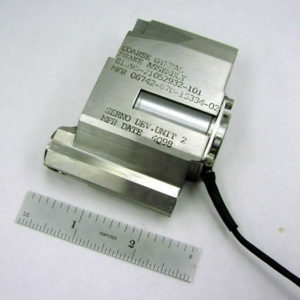 Part number 15065 is a, coaxial, high pressure, miniature solenoid valve developed for a high pressure hydrazine gas generator. The valve body has a maximum diameter of 0.480 inches and has 1/8” weld stubs for inlet and outlet. The valve operates at 2,000 psia with an 8,000 psig burst pressure. 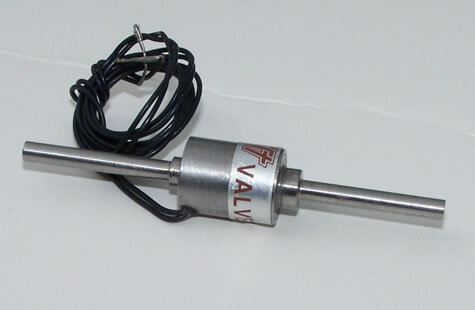 The valve has a 0.020 inch minimum ESEOD and 5 millisecond response time.